Loyalty Members please take note: For the entire month of April, if you make a reservation Monday-Thursday and say “Double Points Please”, we will double your points earned on your visit. If you make your reservation online, please put that quote in the notes. This offer applies to lunch and dinner, Monday-Thursday, for the whole month of April! Sorry, there are no substitutions with this menu. It’s very simple: Come into the WCYC and earn points! Every time you dine here, purchase merchandise, gift cards, or something from the seafood market, we put points on your card. 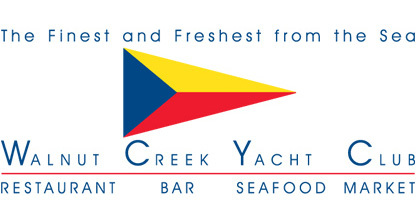 For every dollar spent you get 1 WCYC Loyalty Point. At 1000 points we put $50 onto your card for you to spend here any way you wish when ever you want. Now here’s the bonus part. We will also run periodic WCYC Loyalty Bonus Point promotions to help you accumulate points more quickly! Go to our Website WCYC.net, click on the What’s Happening tab, look for WCYC Loyalty Bonus Point Promotions, and the current programs will be listed there. We will also be sending you our email newsletter The Scuttlebutt, that will keep you up to date on what’s happening down at your club and what bonus point offers are available. Ask anyone here for one, fill out the form and the card will be yours. 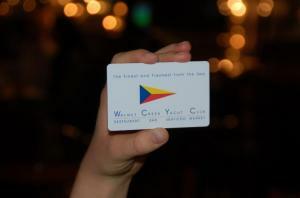 You can also go to wcyc.net and register there, and we’ll mail you one. So get your card and sign up now to start earning points!! Not a member? It’s free. Sign up now and join the meeting! You want more of any of that? Please make a reservation for this meal so that we can be prepared for you. There are no substitutions with this offer.